COLUMBIA, Mo. 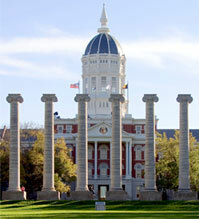 – A University of Missouri researcher believes there could be a new drug compound that could kill breast cancer cells. The compound might also help with controlling cholesterol. Salman Hyder, the Zalk Endowed Professor in Tumor Angiogenesis and professor of biomedical sciences in the College of Veterinary Medicine and the Dalton Cardiovascular Research Center, and his research team discovered that a small molecule, Ro 48-8071, initially developed for controlling cholesterol synthesis “dramatically destroys” human breast cancer cells. This development was discovered as Hyder’s research team was investigating PRIMA-1, a drug that targets a common mutated gene in human breast cancer cells, and kills tumor cells. Salman Hyder, the Zalk Endowed Professor in Tumor Angiogenesis and professor of biomedical sciences in the College of Veterinary Medicine and the Dalton Cardiovascular Research Center. During the course of the study, Xiaoquin Zou, an assistant professor in the MU Department of Physics and Astronomy, compared the chemistry of PRIMA-1 binding to thousands of proteins using a software program she developed called MDock. Hyder and Zou found that PRIMA-1 showed excellent binding properties to a protein called oxidosqualene cyclase, (OSC) that is known to be important for producing cholesterol. This led Hyder’s team to investigate whether known OSC inhibitors, such as Ro 48-8071, developed to stop cholesterol production, also killed breast cancer cells. While there are still many studies to complete, including testing on humans, Hyder believes there are great possibilities in using Ro 48-8071 as a treatment for breast cancer. Hyder gives equal credit to MU colleagues Xiaoqin Zou, Sam Grinter, graduate student in physics; Yayun Liang, assistant professor and Dalton researcher and Sheng-You Huang, research associate. “This is a good example of interdisciplinary research, where colleagues with different expertise collaborated to find targets and verify their use for breast cancer therapy. We couldn’t have achieved this finding with each of us working on our own,” Hyder said. The study results are published in an article “An inverse docking approach for identifying new potential anti-cancer targets” in the February Journal of Molecular Graphics and Modelling.